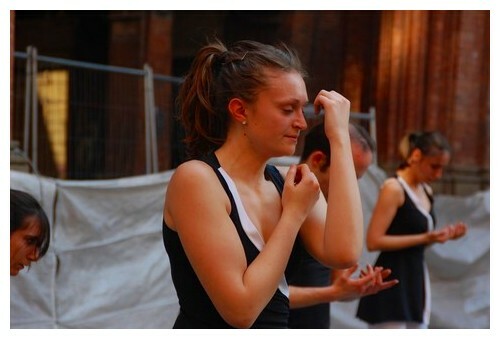 This post is on reflections about different meanings and ways of interpreting dances, and presents some images from World Dance Day celebrations in Bologna (Italy). If someone asks you, "what is the meaning of dance for you? ", what would you say? Perhaps my question is not so clear, and another way of putting that question could be, "How would you define dance?" or even, "what kind of feelings does dance give you?" I think that if someone asks me this question, I would think about the drum beats, the rhythm, the desire to move my feet with the beats. As a child, I used to go the school, where my sister was learning kathak and I was supposed to study arts. Kathak has a basic step, "Ta thai thai tat, aa thai thai tat", just watching my sister do it for hours every day, I must have picked it up from there. Now, when I watch a dance that I enjoy, I often find that my feet still follow that old rhythm of Kathak. If I think of classical dances like Bharatnatyam or Odissi, the same question would make me think of grace, harmony, beauty and years of practice. 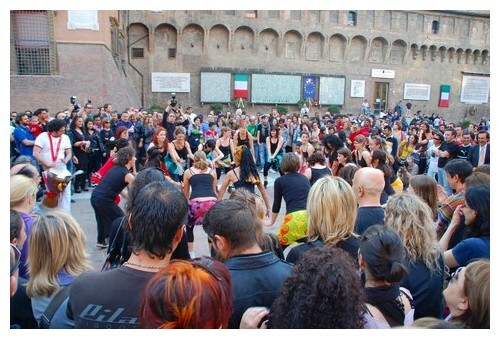 Yesterday was the "Giornata Mondiale della Danza" (World Dance Day) and our city, Bologna celebrated it in grand style. Culturally, Bologna is one of the most exciting cities in the world. If you love archeology, arts, dance, music, films, literature, or even history and philosophy, Bologna gives you ample opportunities through out the year to choose events, where you can interact with artists, thinkers and writers and participate in wide variety of events, often free of cost. Still, yesterday's dance event was really special, even for the Bologna standards. 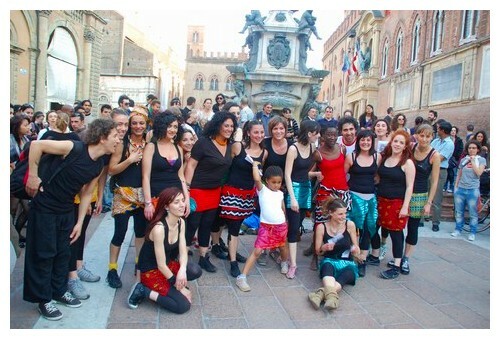 The organisers had asked different dancing schools and groups of Bologna to present their works in the different city squares. Most of these are open spaces, but there are also a few covered squares in the city. Such wide open spaces with fountains, statues and old historical buildings, can be seen in many countries of Europe, but are distinctive character of Italy. In India such spaces, without people trying to sell things or motorbikes and cars passing through, are unimaginable. But then, India with its burning hot sun for most parts of the year, is probably not suitable for open "Piazzas" (squares), though till 20-30 years ago, certain parts of New Delhi, around Birla Mandir and Parliament house had many open spaces. However, I am digressing here, let me go back to my theme of dances. While I walked from one square to another, feeling like a guest at a wedding buffet, tasting one dance here, moving to another dance there, I was thinking about the meaning of dance, especially the modern interpretations of dances. 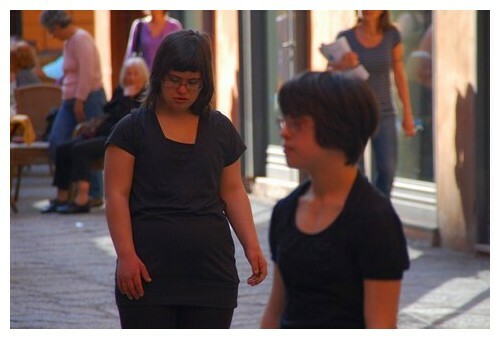 For example, what do you think when you see a group of children with disabilities dancing? Do you feel a little goody-goody, thinking that everyone has right to be happy and to participate in dancing and thus even disabled children have a right to dance? I suspect, that such feelings are sometimes accompanied by certain other thoughts, that we may not say to ourselves, because they are not "politically correct". This is because we attach certain expectations to how we expect people to dance and to be good looking, to be graceful and to be perfect? Perhaps if we can accept that dance is about being happy and expressing that happiness, we can appreciate that dance better? Yesterday one of the dances that I saw was very strange. In Galleria Galvani, next to the archeological museum, a girl was wrapped around an old pillar, with its paint peeling off. She was staring at some detail of the pillar and moving in extreme slow motion. 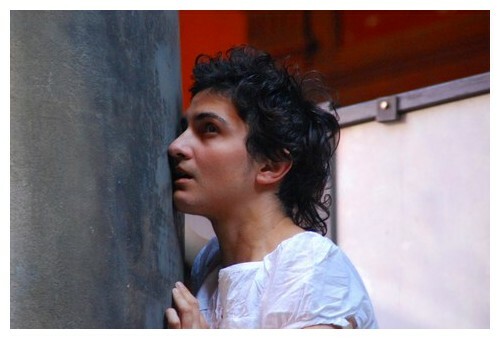 Another girl with sad face, hid behind another pillar. 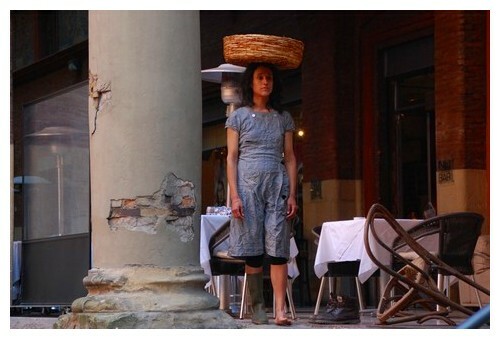 A third girl with a basket on her head, her dress torn, a shoe on one foot and the other foot shoeless, her face lost in her own thoughts, moved slowly down the stairs. A boy with a old cord tied to his t-shirt like a tail, pulled an old broken table. There was no music. My first thought was that this is some kind of new-age dance and it will be better to go and look for something better. Fortunately I statyed there, looking at them and letting my mind run free. Perhaps they are representing life in stones and "inanimate" objects, I thought, since I feel that everything in this universe has life, including mountains and houses, may be in different forms. Then I thought of mental illness, the pain of depression, the bottomless grey pit from which, it is difficult to come out. 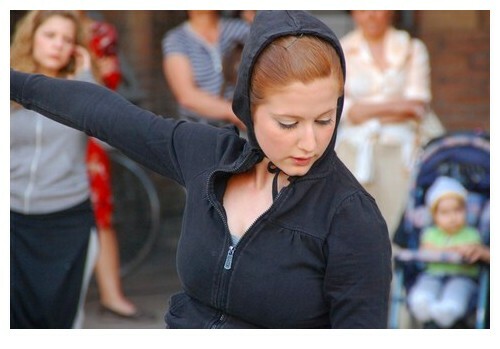 Suddenly watching those dancers, moving in slow motion was a strong emotional experience. Feeling their pain, I felt like crying. So I think that meaning of dance is to transmit emotions, and if it can then it is a good dance, even if it is not about rhythm or beats. 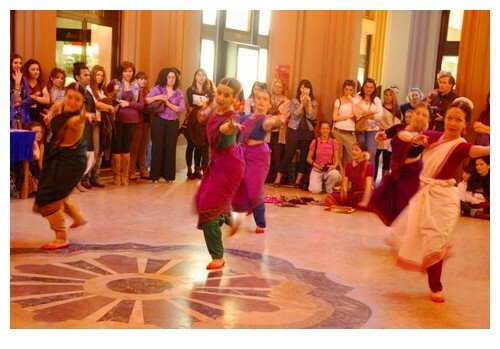 In an old gallery, that widens into a covered square, there was a group of "oriental" dancers. 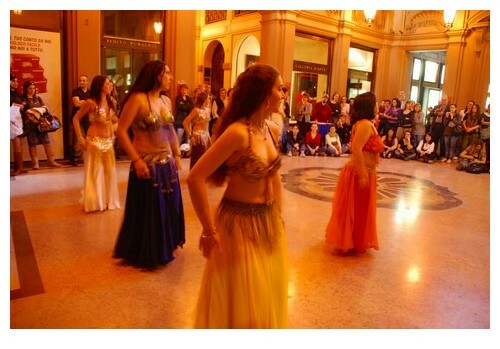 They were wearing little clothes, with open hair and middle-eastern or arabic music, doing sensual belly dances. Most the persons watching these dances were women and they were very loud in expressing their appreciation by blowing whistles and clapping. I think that dancing is also about expression of sexuality, a liberation from all those taboos that chain us. Wild movements of hips and powerful drum beats from Africa that pulsed in the whole body, making me sway and move, were also about sexuality, about being free from all shackles, about expressing ourselves without shame or inhibitions. 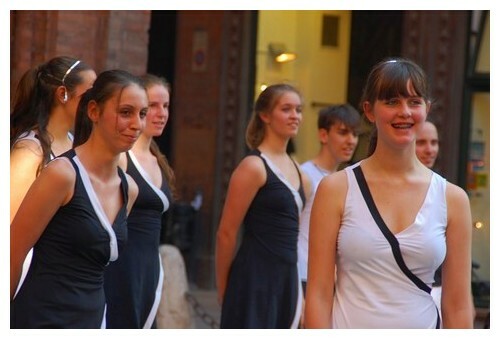 This dance was in the wonderful setting of Piazza Nettuno. 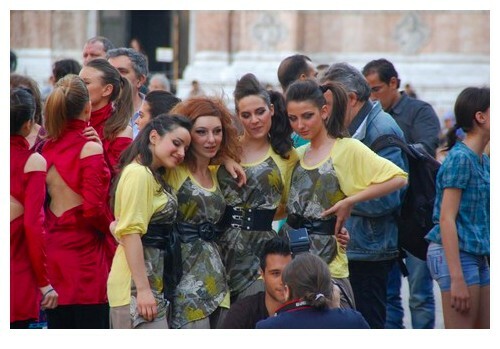 Close by in Piazza Maggiore, in front of the municipal pharmacy, there was Kairos, a group of young people doing strange contortions accompanied by songs that used everyday words in new ways. 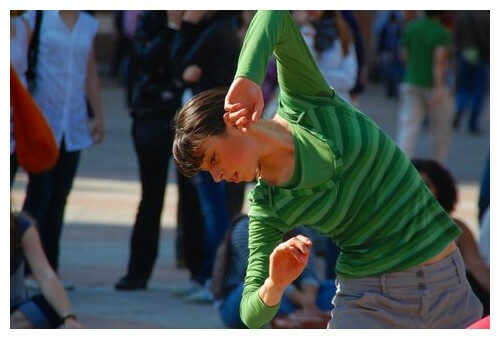 Can contortions, arms and legs intertwined, mean dance? One of the most emotional moment yesterday was during the Bharatnatyam recital, when the CD player had some problems and got stuck. The Narthaki group under the guidance of Alessandra Pizza was embarrassed for a moment, till Alessandra decided to sit down and sing the song herself. The Sanskrit words, her voice full of passion and emotions, her hands drawing the gestures in the air, she seemed like an ancient Indian guru, graceful and wise. Just watching her made me feel goosebumps all over. She was not dancing herself, only guiding her students to dance, but looking at her was as electrifying as any dance could be. So perhaps for dancing, people do not really need to dance, they can just make our imaginations dance? What do you say?